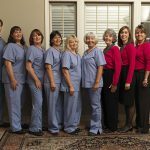 The entire staff at Granite Dental Group are truly dedicated to serving their patients. But it goes well beyond providing excellent dental treatment and care. We take your health and well being very personally. Every one of our patients are treated like family. Please take a moment to review our doctor and staff bios and see why Granite Dental Group patients keep coming back year after year!